She was a shy little chicken at the bottom of the pecking order so we don't have many good pictures of her. 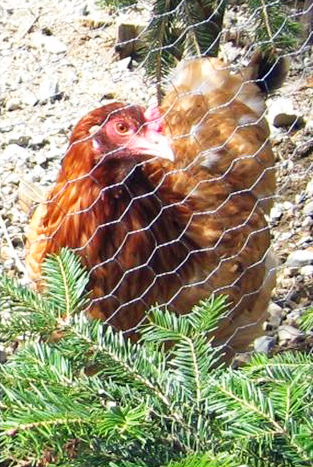 Dolly developed an enlarged (pendulous) crop as a pullet and had battled with crop problems on and off for the 3 and 1/2 years of her little life. We were always so proud and excited to receive her beautiful pastel blue-green eggs. Rest in peace little green egg girl.